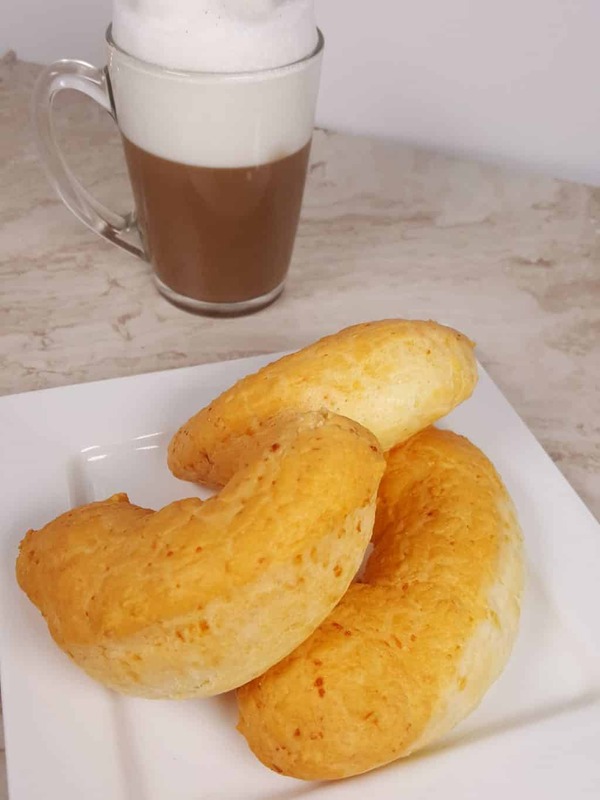 Colombian Pan de Yuca, is a puffy, airy, cheesy and somewhat chewy bread, made with Tapioca Four/Starch and cheese from Southern Colombia or Ecuador. Similar in texture to a Popover or Yorkshire Pudding, Colombian Pan de Yuca is made with Oaxaca Cheese, which is a melting cheese. There is a terrific Colombian grocery store called Bodegon in Lake Worth, Florida. Besides groceries, there is a meat counter, cheese counter, cafe, bakery and seating area. Bodegon made wonderful food, bread and pastries and we frequently had lunch or dinner inside the store. Because of my cats and ebay business, I became friendly with the owner, Juan. One of the bakery items, I would bring home (or eat in the store) was the Pan de Yuca. The billowy, puffy, cheesy, chewy bread was so delicious. Juan was kind enough to share the recipe with me, as he knew I loved to cook and wanted to eat Pan de Yuca all the time! What is Colombian Pan de Yuca? Colombian Pan de Yuca are airy and chewy. The texture that of a Popover or Yorkshire Pudding, but the taste is very cheesy. Tapioca Flour is made from the Yuca Root and is also known as Cassava or Tapioca Starch. The bread puffs up and is firm on the outside and soft and chewy on the inside. The are slight variations of the Pan de Yuca in many Latin countries. In Brazil, they are known as Pao de Queijo and made with Parmesan Cheese. What are the ingredients for Colombian Pan de Yuca? Tapioca Flour comes from the Cassava Root. It is native to the Northeast Region of Brazil. Tapioca Flour is also referred to as Tapioca Starch. I get mine from Amazon, as I make these puffy treasures, all the time. You’re going to want to buy a lot, once you taste these yummy, chewy, cheesy, puffs. Plus, it is gluten free and can be substituted for flour and used as a thickening agent. 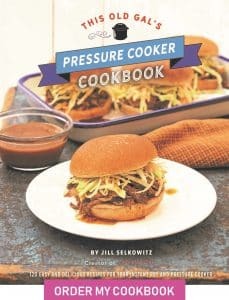 I use it in my Pressure Cooker Almond Fudge Cheesecake recipe. Each type of flour has a different weight, so it is important to weigh each type of flour. There are many types of Whole Wheat Flour, all with different weights. A cup of Tapioca Flour weighs 113 grams. A cup of All Purpose Flour weighs 125 grams. So, you can see the discrepancy in just those two types of flour. A good Baker’s Math Scale is important to own. 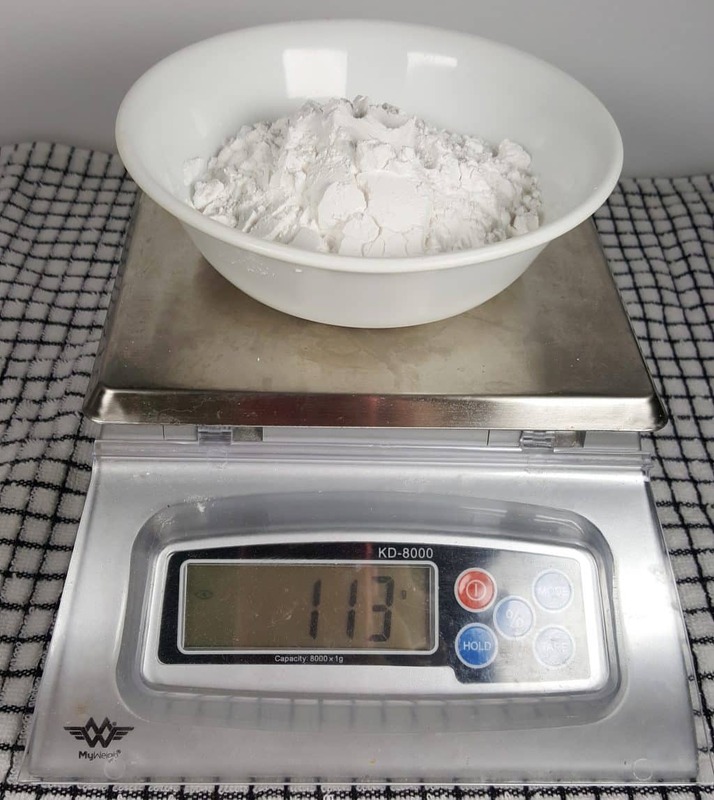 Please check my article on How to Properly Measure Flour. You can use a Food Processor or an Electric Hand Mixer. 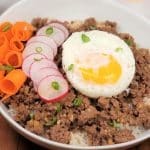 You can even put chunks of the Oaxaca with the eggs right into the Food Processor and let it rip, until the cheese and eggs have completely combined. Then toss in the Tapioca Flour and Baking Soda and Cream and process until combined. Beat the Eggs first and then add the rest of the ingredients. 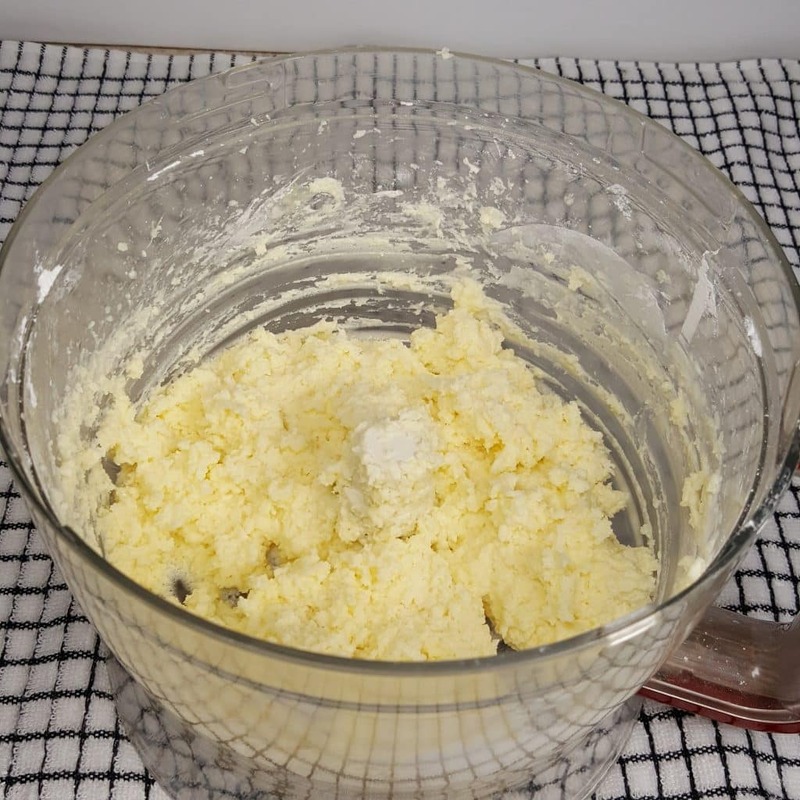 If using an Electric Hand Mixer, you will want to first grate up the cheese. The Oaxaca Cheese in the Colombian Pan de Yuca, gives the dough it moistness. 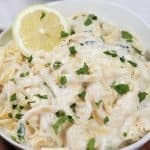 I changed Juan’s recipe and use a little Swiss Cheese too. Since the Brazilian version, Pao de Queijo uses Parmesan Cheese, which is dry, milk and butter are usually added. Mixing the Dough in a bowl is fine too! Lightly sprinkle your Bread and Pastry Board with a little Tapioca Flour. 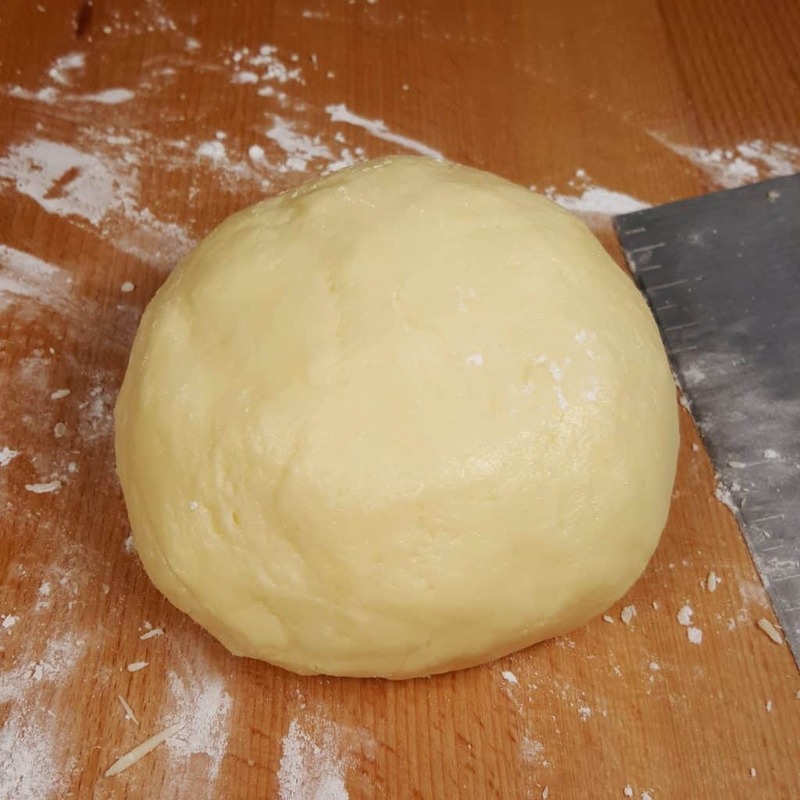 Turn out the dough to the Bread and Pastry Board and knead the Dough until soft and pliable. If the Dough is too wet, add in a little Tapioca Flour. If the Dough is crumbly and dry, add in a little more Heavy Whipping Cream. Heavy Cream is the same thing. The only difference is the fat content. What is the texture of Pan de Yuca? Like, Pao de Queijo, the texture is chewy, cheesy and oh so delicious. 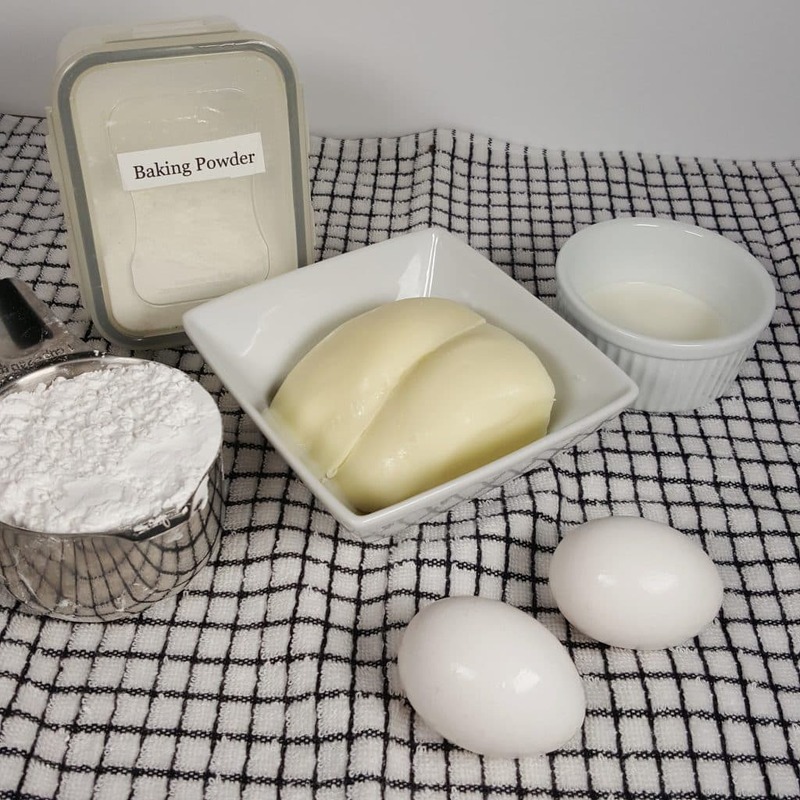 The ratio of cheese to flour to egg is quite different than in regular dinner roll recipes. The Oaxaca (you can use Queso Fresco too) is a melting cheese, much like Mozarella. The Tapioca Flour, also called Starch, is very light weight. The moisture from the cheese and the whipping of the eggs, allows the Pan de Yuca to puff up quickly in a hot oven or Air Fryer. 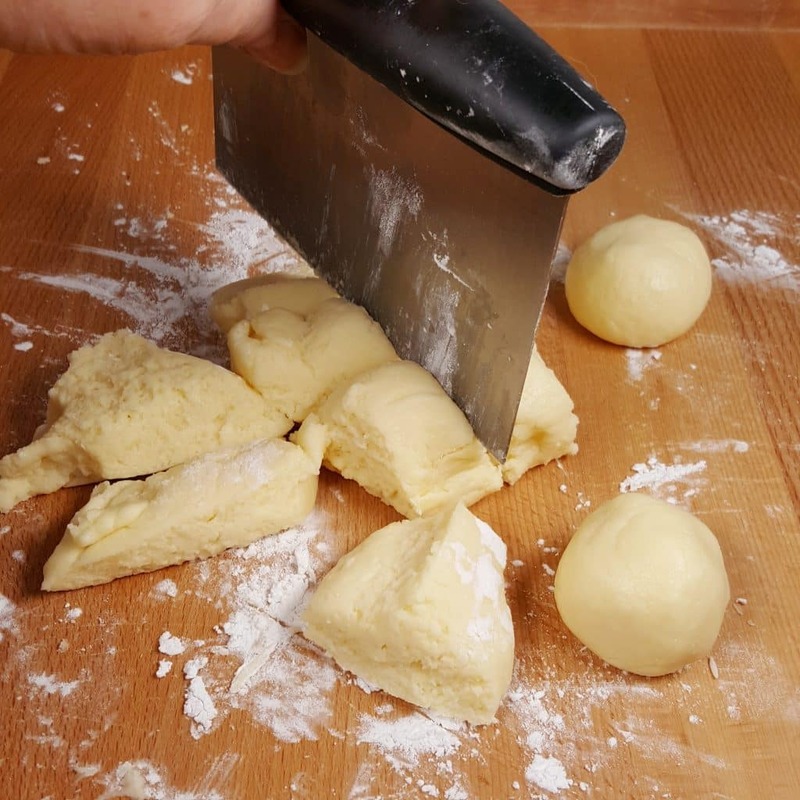 A good Bench Knife makes it easy to quickly divide up the Dough. Because I am a perfectionist, I weigh the Dough and divide it by eight. Then I weigh each piece. I wasn’t kidding. They all weigh exactly the same. After rolling into balls, I like to roll them into a cylinder. That is how Bodegon does it, so that is how I do it. If you are near Lake Worth, stop in and tell Juan that Jill sent you. The butcher used to cut up chicken for us to make raw cat food. My cats eat raw food and I was able to arrange to have the butcher skin and cut chickens for me, to grind for my cats. No need to oil your Cookie Sheet..
Parchment Paper works really well. 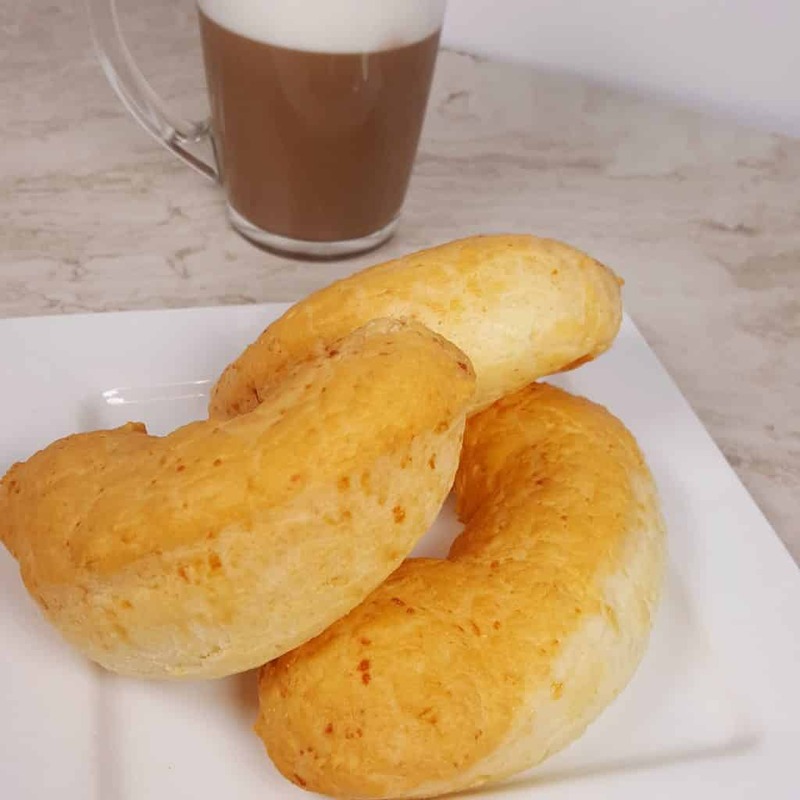 You can make Colombian Pan de Yuca in your Air Fryer too! These 8 inch Parchment Paper Rounds come in really handy. You can make more Colombian Pan de Yuca, if you leave the Dough in ball form. Plus, this Stackable Pan Insert Set set is great to use in Pressure Cookers. That’s my “Pot in Pot” Rice pan that you will see throughout my recipes. How do I eat Colombian Pan de Yuca? With a hot Cuban Cortadito! Yum. Break apart the Bread and dip it right into the Cuban Coffee! Hot Chocolate is another popular morning drink. While shopping at Bodegon, we loved to take a break and sit down in their dining area. It is right between the Bakery and the Hot Food Counter. 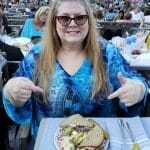 I sure miss that place and other places like that, which are found all over South Florida. Would you believe that there is a gas station on the corner of 441 and Southern, that is a very popular place to sit down with a cup of coffee and Cuban Bread or Pastries? There is a fresh Coffee Counter and Pastry display and tables and chairs. Yep. Enjoy! Add all ingredients to the bowl of a food processor and process until a ball forms. 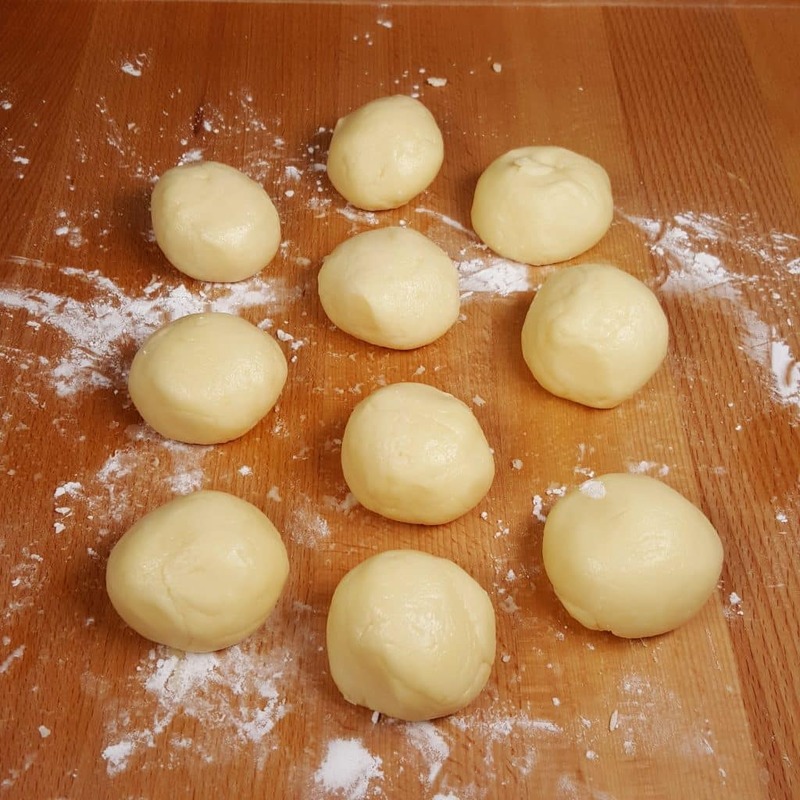 Divide the dough into 12 even pieces and shape into Half Moons or roll into 16 Balls. Line Cookie Sheet / Baking Pan with Parchment Paper. Place on cookie sheet, about an inch apart. Bake in preheated 425 degree oven for 10-13 minutes, or until puffed. The Pan de Yuca should be a pale golden color. Do not let them brown. Remove from oven and cool on a Bakers Rack for 10 minutes. 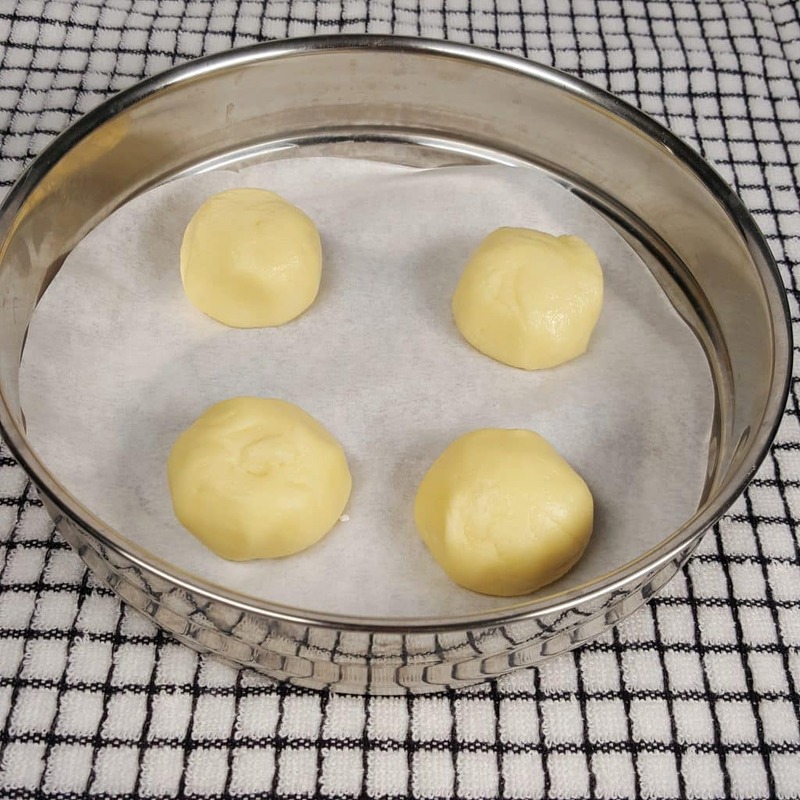 Line Baking Pan with Parchment Paper Round. Cook at 400 degrees for 8 minutes. The Pan de Yuca should be a pale gold color. Do not let them brown. 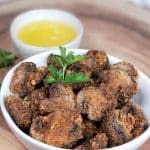 Remove from Air Fryer and cool on a Bakers Rack for 10 minutes. *If the dough is crumbly or seems too stiff, add a 1/4 teaspoon of cream. 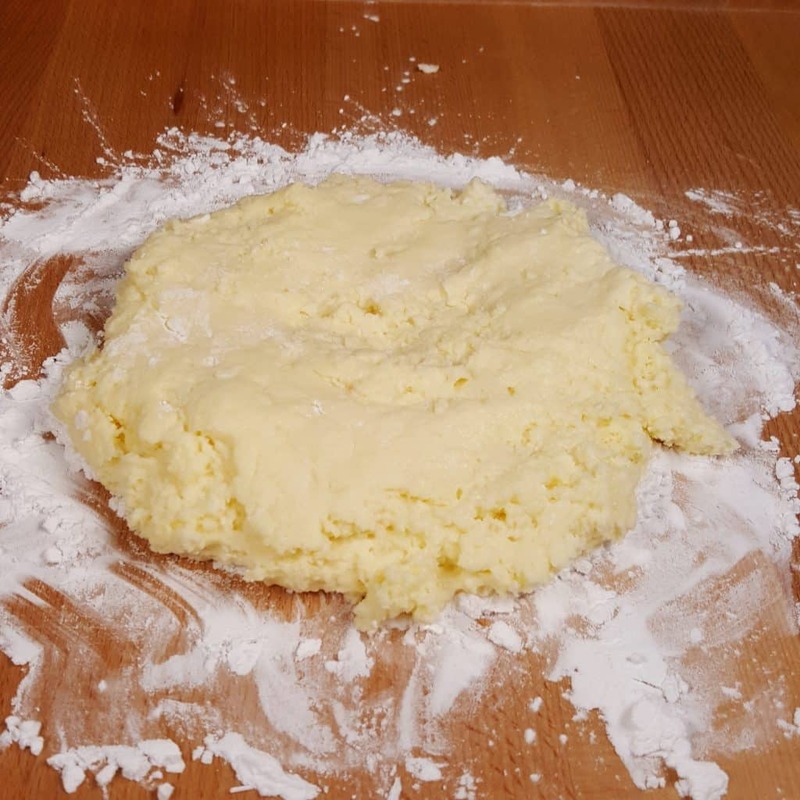 If the dough is overly sticky, knead in a little Tapioca Flour, until the dough comes together and feels soft and pliable. Delicious warm or room temperature. Queso Fresco, or other melting cheese can be used in place of Oaxaca. The recipe can be made using all Oaxaca, as that is the original method. If you want Balls of Pan de Yuca, rather than half moons, just pinch off pieces of dough and roll into Balls. PIN this Colombian Pan de Yuca! WOW Jill, these sound and look delicious. I have a question though. In the recipe it gives THREE different cooking temperatures. Please this clarify for me. 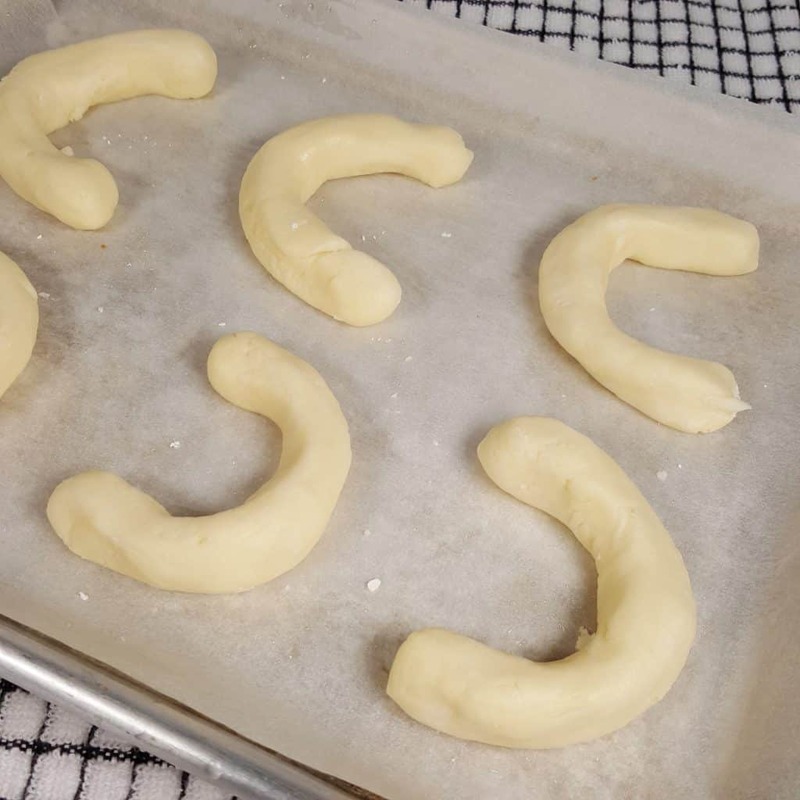 It says to preheat the oven to 375º F. Then it says bake them in the oven at 390º F, then it says or bake them in the Air Fryer at 380º F. I know this must be a typo, but I would like to know what the proper temperatures are so I can bake these ASAP! Thanks for your help and I really enjoy your newsletters and I follow you on Facebook, too. Thanks for the quick response to my questions Jill. 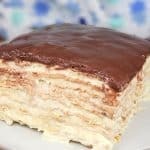 I’ll be making these as soon as I can get to the supermarket to buy the Oaxaca cheese and the Tapioca flour! 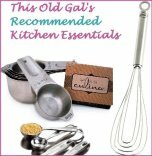 Oh, yes, I am so looking forward to getting your cookbook and I am ordering an extra one for my best friend as a Christmas gift.